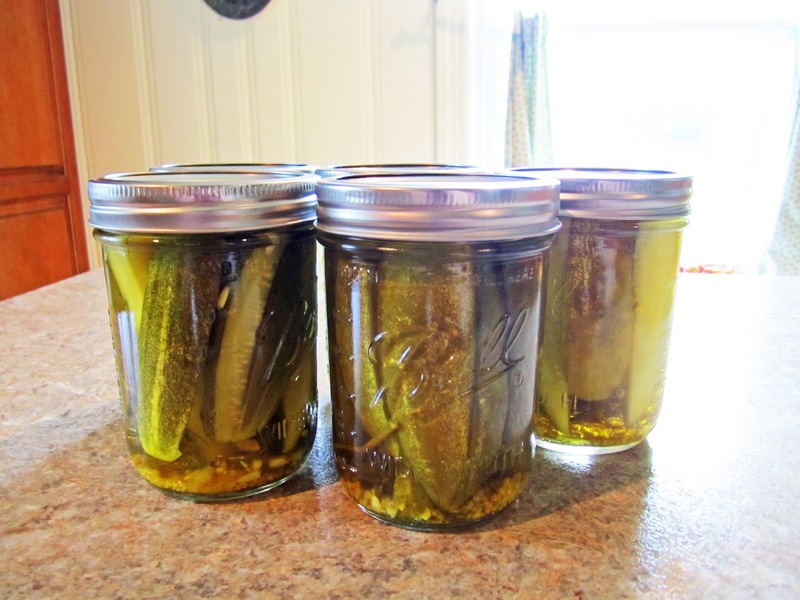 Nothing beats homemade dill pickles! Ok, maybe some things beat them... but all in all, they are really good! 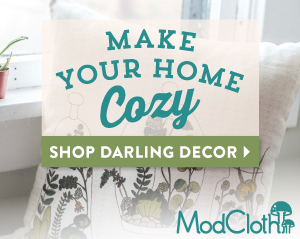 I really enjoyed making these because it was a quick process, and pretty much instant gratification. As you know, we harvest a bazillion cucumbers everyday from our garden, so pickles were a great idea. I am the only one in the house who eats pickles, so we don't go through them very fast. I decided to go ahead and run these through the canner to seal them so I can keep them on the shelf for awhile until I am ready for them. You can skip that step and just put them in the fridge and they'll stay good for about 6 months, but I know I won't go through them that fast. Get your cucumbers washed up and ready to go. 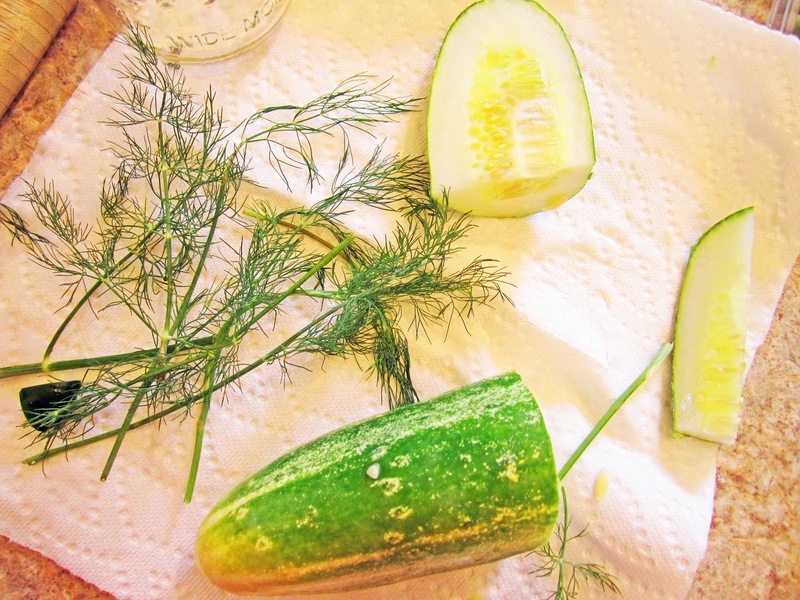 We grew cucumbers from seeds that we bought from seed savers exchange. They are specifically for pickling called A&C pickling cucumbers. We harvest them when they are between 4-6 inches. Following basic canning instructions, I sanitized my jars on the sanitize setting of my dishwasher. I added a few sprigs of dill to each jar and sliced my cucumbers into spears that were short/long enough to leave 1/2" headspace in the jar. I followed the directions on the packet of pickling spices. 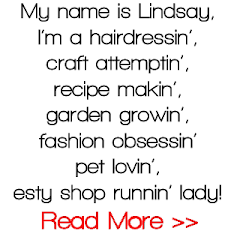 This was Mrs. Wages brand, but I had already the top off before taking the picture. It consisted of bringing water, vinegar, and the pickling spices just to a boil. I packed the jars tightly with the cucumber spears. Then I filled the jars with the just-boiling liquid leaving about 1/2" head space. I processed these pint jars for 20 minutes in a hot bath canner. Like I said previously, you could skip this process and put them directly in the fridge where they will stay good for 6 months. 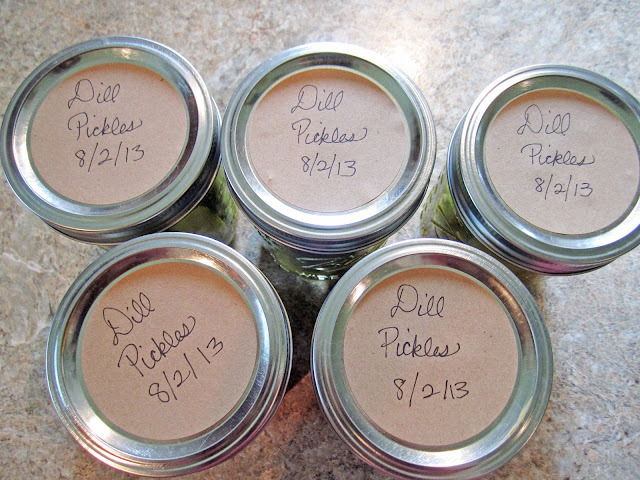 Once they cooled, I whipped out my trusty round labels again and wrote the date as well as Dill Pickles. These should stay good for about 18 months on the shelf. This whole process took me less than an hour! I was again, pleasantly surprised at how easy this was and I plan on making bread and butter pickles for my next batch!